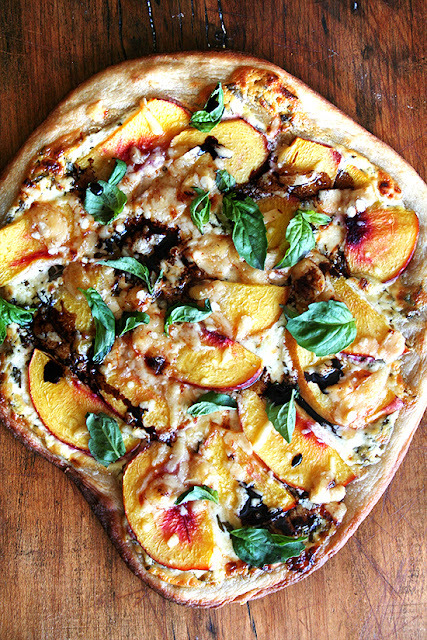 Take the Side Street: Mamma Mia! That's a Good Pizza! Mamma Mia! That's a Good Pizza! 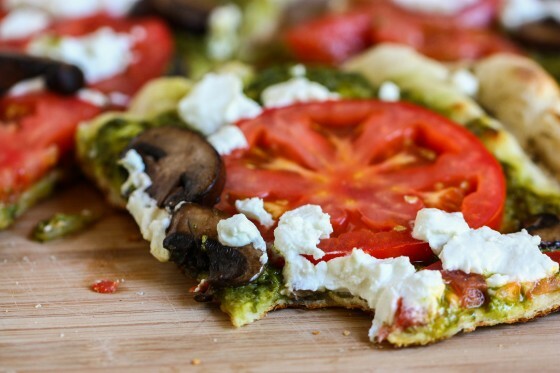 I've already shared my favorite pizza crust recipe, and I'd be happily making pizza weekly for dinner... except all my kids want on theirs is pepperoni. And I can't face a world where I eat plain pepperoni pizza once a week, even if it's homemade -- what a frighteningly boring prospect. I get bored with repetitive menus very quickly, so that's just a recipe for disaster. 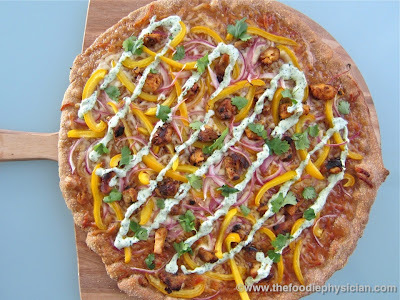 Lucky for me, my crust recipe makes enough for a couple small personal pizzas for my boys plus a larger one on the pizza stone (grownups with discerning tastes get the pizza stone, it's a rule in my house). So I'm going to start making fancy pants pizza for picky old me and pepperoni for the boys who look at ingredients like kale as their cue to begin an Oscar-worthy death sequence. I had to seek out some insane looking combinations for the grown ups of the world... I can't wait to try all some of these, all at once over a reasonably long time period. 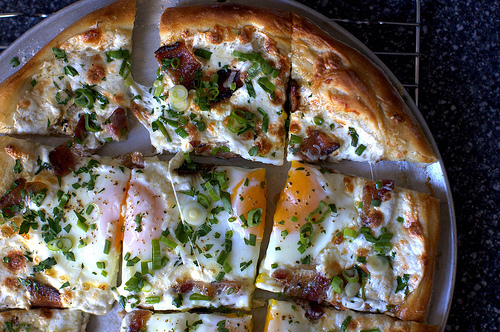 A delightfully fresh spin on breakfast for dinner! 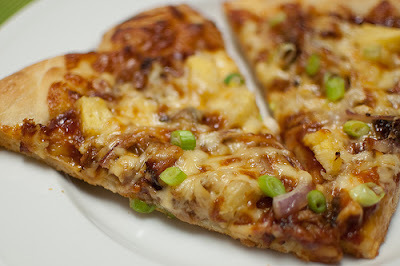 A great way to use leftovers after I make pulled pork sammys in the slow cooker. Wow. That's all I need to say... this one is moving to the top of my list. A classic combination that I need to revisit, and I love pizza on the grill. 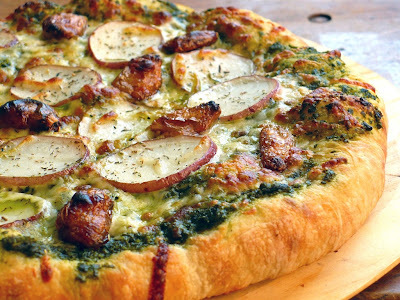 Pesto Pizza with Roasted Garlic & Potato from Food. People. Want. Have you ever had potato on a pizza? I have, and it's awesome. You're welcome. 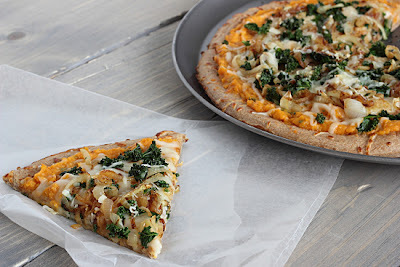 This looks amazing for fall -- and while my kiddos curl up and die at the thought of kale, I actually like it. This one looks delicious and so different, but mango + cilantro + cheese = love so I'll try it.